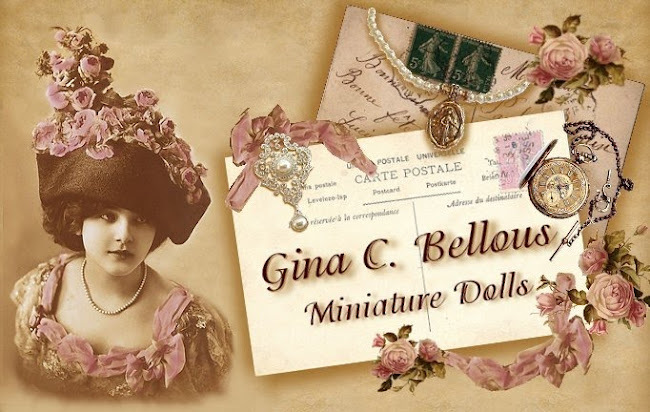 Gina C. Bellous Miniature Dolls: Blog affected by my webhost, sorry. I know my blog looks weird right now. I am in the process of transferring my site to another host so my website is down right now and I can't get to my files. All is okay, this is just temporary, sigh. Sorry about this, sometimes the web can be so frustrating! Big Hugs to all and thank you for your continued support! Que ha pasado Gina? No entiendo con el traductor. Yes, transferring files is a pain. 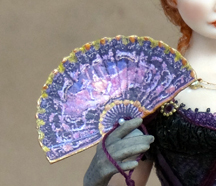 By the way, that fan is beautiful. 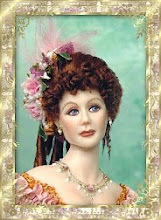 I can't imagine how you did it, got all that detail. It looks so delicate. my miniature ladies umbrella set! I hope you'll be back soon. We miss you.